This book comprises a rigorous and enchanting exploration of a highly innovative and exciting period of art following the careers of artists such as Van Eyck, Durer and Holbein. Jeffrey Chipps Smith analyses key conceptual aspects of that period, such as the Protestant Reformation and the discovery of the Americas, offering the reader a penetrative insight into domestic, civic and court life as illustrated by some of the most exquisite artworks ever created. In the years from 1380 to 1580, northern Europe witnessed a period of artistic innovation as dynamic as contemporary developments in Italy. Stimulated by the atmosphere of intellectual curiosity about the individual and the natural world, Northern Renaissance artists mastered the new techniques of oil painting and printmaking to produce some of the most exquisite art of all time. It was also a period of political, religious and social turmoil, which profoundly changed the patronage, production and subject matter of art. At all levels of society art was a part of everyday life. Chipps Smith writes with tireless lucidity about these changes and the objects themselves. 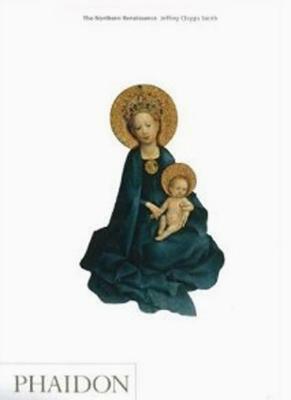 The works range from tapestries, altarpieces and illuminated manuscripts to churches, palaces and civic architecture. He discusses the audiences and functions of art from across nothern Europe, including not only Germany, France and the Low Countries, but also Britain and Austria. He explores major cultural and historic events such as the Protestant Reformation and the discovery of the Americas, to consider how they widened intellectual and religious horizons. The result is a book that reveals, with passion and erudition, how the Northern Renaissance masters laid the foundations for the art of succeeding centuries. Jeffrey Chipps Smith holds the Kay Fortson Chair in European Art at the University of Texas at Austin. His books include German Sculpture of the Later Renaissance (1994) and Sensuous Worship, The Jesuits and The Early Catholic Reformation in Germany (2003).